In my recent book Quick and Dirty Answers to the Biggest of Questions, I describe how Creative Systems Theory helps us address all manner of “ultimate questions”—big picture concerns that in times past have tended to leave us baffled. The conflicting views of science and religion present a particularly intriguing example. Here most crudely the question asks, Which interpretation is right? The better question might be, How do science and religion relate to one another—if they do at all? In modern times, starting with Descartes, we’ve tended to place the material and the spiritual in wholly separate worlds. This is not an entirely unhelpful solution. It has shielded us from perceived contradictions so basic that they have resulted historically in people being burned at the stake. But this is not a solution that can satisfy for long. Descriptions that depend on two mutually exclusive explanations can’t ultimately be sufficient. This article expands on these conclusions. It fills out the basic observations that underlie them. It helps make the different ways we have thought about science and religion through history more understandable. It examines how CST calls into question traditional assumptions of both science and religion. And it offers a glimpse of what may lie ahead. CST proposes that our ideas about science and religion at any point in time (like our ideas about most anything at a point in time) are as much products of how we understand as what is “out there” to understand. From CST’s overarching vantage, science and religion are best thought of not as conflicting truths, but as “ways of knowing” each of which through history has contributed in important ways. To appreciate this perspective, it helps first to examine how CST expands our understanding of cognition. CST proposes that what makes us unusual if not unique as creatures is the audacity of our toolmaking, meaning-making—we could say simply “creative”—capacities. It goes on to describe how human cognition is structured specifically to support these capacities. To get to this conclusion and give it detail I most often draw on one of two kinds of observations—the role of polarity in how we think and the workings of intelligence’s multiple aspects. In different ways each observation highlights the underlying “creative” mechanism of human understanding. Each also provides key insights for addressing the science/religion question. Let’s look first at the role of polarity. Throughout history we humans have thought in polar terms. We’ve juxtaposed masculine with feminine, humankind with nature, mind with body, and more. We’ve tended also to put sacred and secular in separate worlds. We’ve done this as if perceived polarities were opposites without giving much thought to whether they actually are. CST offers a more encompassing picture. It describes how polarized, separate-worlds thinking is a product of how human understanding up until now has appropriately and predictably worked. It delineates how we can understand past perceived either/ors to be complementary aspects of larger systemic realities. And it highlights how the ability to get our minds around past polar assumptions is a key characteristic of the new more “culturally mature” kind of thought on which our future depends. A provocative polarity-related observation is key to addressing how the thinking of science and religion could come together in a larger picture. Underlying any particular polar juxtaposition we find a single more fundamental polarity: difference/multiplicity on one hand juxtaposed with connectedness/oneness on the other. People can initially find this recognition hard to get their minds around it. We tend to think of oneness not as half of a polarity but as reconciling/healing polar differences. In fact when we identify with oneness we are quite specifically taking sides. This recognition could not be more important. Other ways of talking about polarity support this observtion. With any polar juxtaposition we find an underlying symmetry. In some way polarities contrast a “harder” quality with something “softer” and more permeable. In our personal experience, think objective versus subjective or thoughts versus feelings. More psychological language makes our understanding more precise and dynamic. We can think of polarities as juxtaposing more right-hand, archetypally masculine characteristics with qualities of a more left-hand, archetypally feminine sort. An obvious question places this observation more specifically in a creative frame: Just why do we think in polar terms in the first place? Why do we assume that reality it anything but whole? This question also provides essential insight into how polarity’s apparent opposites—even the most extreme of opposites—might ultimately relate. I’ve proposed that what makes us particular (if not unique) as creatures is the audacity of our creative capacities. CST describes how the generation of polarity is inherent to how creative/formative processes work. Newly created form buds off from original wholeness and evolves through a predictable sequence of creatively-ordered polar relationships (see Patterning in Time). CST’s conclusion with regard to science and religion at its simplest can be described in terms of this basic right-hand/left-hand creative relationship. Framed creatively, science and religion are reflections of these complementary “harder” and “softer” polar proclivities expressed as extremes and at the largest of systemic scales. They are what we see when we view the world through the lenses of these contrasting/complementing aspects of cognition’s creative workings. Science is about collective right-hand, archetypally masculine experience—the “difference/multiplicity” half of ultimate polarity—in its purest manifestation. Religion is about collective left-hand, archetypally feminine sensibility—ultimate polarity’s complementary “connectedness/oneness” dimension—similarly cleansed of contamination by the right. A closer look at the contrasting contributions of science and religion supports this interpretation. Science is about distinction—this as opposed to that. Biology delineates the creaturely into taxonomies of genus and species, chemistry gives us the periodic table and the interplay of atoms and molecules, and classical physics describes objects of differing mass and the this-versus-that laws of material cause and effect. Spiritual/religious experience in contrast highlights oneness. We can think of religious belief through history in terms of four connectedness-related themes: how things arose from the undivided (“in the beginning”), community (congregation and communion), right thought and behavior (shared moral assumptions), and how experiences interrelate (and, in the end, how it all interrelates). In Latin, re-ligare, the root of the word “religion,” means “to connect.” William James put it this way: “In mystic states we both become one with the Absolute and we become aware of our oneness.” +Framed in terms of polarity, science and religion reflect how the world looks when viewed through the lens of creative polarity at it most fundamental. Culturally mature perspective offers that we might see a larger picture. It also offers that we might entertain more dynamic and complete understandings of each. The second kind of observation adds further substance and nuance to this creative picture. Key to culturally mature perspective’s more dynamic and encompassing picture is the recognition that intelligence is multiple. We are not just rational beings. More emotional, imaginal, and body-derived aspects of intelligence play essential roles in making us who we are (see Multiple Intelligences). Descartes’ modern age picture not only placed polarities in separate worlds, it also placed intelligences in separate categories. Rationality came to stand distinct, idealized as the basis of final, “objective” understanding. The remaining aspects of intelligence were then lumped together in a secondary world of “subjective” experience. While this act cleaved us from ourselves, in its time it served an essential purpose. It took us beyond the strangling constraints of medieval mysticism. But like with what I observed earlier for polarity, such separate-worlds thinking can’t work as an ultimate solution. Cultural Maturity’s cognitive reordering again offers a more encompassing vantage. Integrative Meta-perspective lets us get our minds around intelligence’s multiplicity. The implications are intriguing, and also critical and timely. Essential challenge ahead for the species will demand that we be not just intelligent, but also wise. To be wise in the sense needed requires the ability to draw consciously, and in a newly possible, more integrated fashion, on the whole of our cognitive complexity. We also find that applying a more complete picture of intelligence alters the conclusions we reach in particular realms of understanding—including those of science and and religion. Again CST offers an answer to an obvious implied question: Just why do we have multiple intelligences in the first place? The answer turns out to be the same as that we encountered for polarity. CST proposes that intelligence’s multiplicity is essential to our toolmaking, meaning-making—creative—natures. Different aspects of intelligence manifests in critical and predictable ways over the course of any human formative process. This includes the evolution of culture. CST brings detailed understanding to how our multiple intelligences have worked together to drive the evolution of human values and human understanding. We can tie intelligence’s picture directly to the contributions of science and religion. Historically, the most creatively manifest aspect of intelligence—the rational—has given us the more material and mechanistic sensibilities that inform the worlds of science, engineering, and economics. Science is not just rational in some “coldly objective” sense. Every good scientist appreciates the “spirit of science” and the awe and wonder of the world it reveals. But at least within classical science, the world is assumed to be rationally understandable. In contrast, spiritual/religious experience draws on the more creatively germinal aspects of intelligence—in particular, animistic sensibilities, the more magical/intuitive sensitivities of the imaginal, and emotional intelligence. CST delineates how we can understand specifics of belief in terms of various ways these more germinal sensibilities manifest in different times and places. Integrative Meta-perspective offers that we might engage intelligence’s multiplicity as a whole. Whether the lens we use is the creative workings of polarity or intelligence’s rich multiplicity, we see the possibility of a more encompassing picture for science and religion. Besides providing insight into how the beliefs of science and religion might ultimately relate, a creative frame also helps put their relationship in larger historical perspective. A first way it does turns to the stories we tell, to the nature and purpose of human narrative. A second way involves insights that bring detail to how beliefs have evolved through time and implications for how they might continue to evolve in the future. The topic of narrative provides a fun way to bring together reflections to this point. We can think of science and religion as history’s two great “creation story” storytelling traditions. All cultures have their tales about how existence originally came into being. And most too include ways of accounting for key events that followed—such as the amazing and mysterious emergence of the world’s creatures and also of ourselves, this creature who not only creates, but is conscious in doing so. We can think of all of history’s great encompassing stories as versions of this story—told in ways appropriate to their time, place, and perspective. Past stories have taken the forms they have in part because of each time’s practical circumstances (for example, the invention of the telescope resulted in a dramatic challenge to past belief), but even more they have taken the forms that they have because of the internal vantages from which they have been told. Our early animistic and much later Enlightenment interpretations were different not just because of what we knew, but because of how we knew. A creative interpretation of the science/religion debate proposes that these two narrative traditions have also taken the forms they have because of the developmentally-specific sensibilities that at different times have ordered our worldviews. Science has observed creation’s story from a more right-hand vantage, from the perspective of the more difference-emphasizing aspects of intelligence. Religious/spiritual traditions simultaneously observed creation’s story from a complementary more left-hand creative vantage and from the perspective of the more connectedness-affirming aspects of intelligence. Applying a creative frame to the task of more detailed discernment helps us make sense of the various, often very different ways we have conceived of science and religion through time. Just how it does provides important support for the accuracy of a creative interpretation. It also provides essential perspective for addressing what may lie ahead. CST’s approach starts with the recognition that creative processes organize over time in characteristic ways. We can take the basic notion that the ultimate function of intelligence is creative and expand the results like the bellows of an accordion. When we do we find that creative/formation process have identifiable stages. CST goes on to describe how human developmental processes of all sorts organize creatively—and not just personal change processes, but also societal change. It documents how societal beliefs and structures have evolved over the course of history in ways consistent with what we would expect if culture were a creative/formative process. We can understand this progression equally well in terms of how polarity organizes and in terms of the forms intelligence’s multiplicity predictably takes. Being at all complete is beyond the scope of this article (see Patterning in Time or my book Cultural Maturity: A Guidebook for the Future for a more detailed look). But a handful of observations get us a long ways. To see how science and religion fit into this evolutionary picture, let’s turn first to the general “architecture” of cultural belief (beginning with modern civilization’s beginnings some 10,000 years ago). CST describes how the kinds of stories scientific and spiritual belief has drawn on (from animistic to the humanistic and rationalistic), the kinds of imagery they have referenced (from the creaturely, to the magical and mythic, to figures who mirror ourselves and a world pictured as separate and objective), to the general kinds of behaviors that they imply are societally appropriate and morally acceptable can each be understood to follow predictably from how more right-hand and more left-hand sensibilities manifest with each of culture’s creative stages. Along with helping us make sense how (and why) the particular beliefs of science and religion have evolved as they have, CST’s developmental formulations also help us understand how their relationship has evolved through time. Here two further observations become important. The first concerns which “creative hand” at a particular time has the most prominent influence. A consistent trend runs through history’s evolutionary story. Culture’s larger creative narrative has progressed from a time of archetypally feminine dominance in our tribal beginnings toward today when archetypally masculine proclivities hold the much larger sway. As we would predict from this progression, we see a parallel evolution over time from realities defined almost wholly in spiritual terms with our animistic beliefs, toward what we find in our time, a world in which many people hold strong religious beliefs, but in which more material values (scientific, but even more than this, economic) ultimately have greater influence. The second observation concerns the different ways that the relationship between science’s more archetypally masculine and religion’s more archetypally feminine worlds have been experienced. The sequence of juxtapositions we find is just what we would expect to find if the relationship between science and religion is ultimately creative. In early societies, material and spiritual sensibilities tended to be spoken of almost as one. Later, as in much of the European Middle Ages, material and spiritual inclinations more often took expression in ways that were explicitly at odds. Later still, as with Cartesian dualism, science and religion more comfortably coexisted, but accomplished the feat by, in effect, ignoring each other’s presence. Creative polarities go through just this sequence of relationships with any kind of human formative process. Critical to this evolutionary picture—and to the observations in this article being possible—what a creative interpretation predicts does not stop here. Cultural Maturity’s changes present a predicted next step in this evolving story, and with it a whole new kind of narrative. Integrative Meta-perspective lets us step back and celebrate a now more dynamic and encompassing story, one in which science and religion, however irreconcilable their conclusions have often seemed, have all along been working together to support and drive cultural’s creative manifestation. In attempting to rethink science and religion, it is important to appreciate just how fundamentally Cultural Maturity’s cognitive changes alter understanding. Getting at how they do necessarily challenges common assumptions. I find a simple image—a box of crayons—helpful. The crayons represent different aspects of understanding (this could be polar aspects, contrasting intelligences or equally well domains of understanding, such as science and religion). The box represents Integrative Meta-perspective—the ability to stand back and get our minds around systemic complexity. Historically, scientists have tended to make science the last word—act as if it were the encompassing box. Those of more religious bent have tended to do the same for the spiritual. What we see with culturally mature perspective is wholly different. The truths of science and of religion in each case become crayons. With science our interest lies with crayons that represent experience at its most bold and explicit. With religion we find crayons that help us depict and connect with the inner “essences” of things, the easily-hidden inkings that give rise to spiritual experience. Rather than the encompassing box, instead each represents an aspect of truth’s larger creative picture. It is important to appreciate that making science or religion “merely” crayons is not to diminish either of them. Later we will look at how culturally mature perspective’s more encompassing picture, by helping bring generativity’s multi-hued reality most fully to life, offers renewed appreciation for the sensibilities that any “crayon” represents. We will also look at how it offers ways of thinking about particular creative aspects that are newly powerful and compelling. Both of these changes apply to science and to religion. The new picture requires us to step beyond thinking of both science and religion as final truths. But in return if offers that we might understand them as complementary parts of a more demanding, but ultimately more complete and vibrant complexity. While culturally mature perspective’s more systemic picture is ultimately affirming of both science and religion, it does not let either science or religion off easily. Appreciating the challenge it presents to each of them provides intriguing hints about where our thinking might go in the future. In my book Cultural Maturity: A Guidebook for the Future I take a shot at predicting how beliefs might evolve in the decades—and centuries—ahead (see The Future of Science and The Future of Religion). While thinking very far beyond our present view is difficult no matter how culturally mature our vantage, examining how the traditional beliefs of both science and religion are necessarily challenged helps get us started in the most useful directions. Beginning with science, we appropriately first ask just what defines science and its contribution—address what CST would call science’s Question of Referent (see The Question of Referent). Modern science combines a particular kind of methodology with specific assumptions about the nature of truth. The scientific method involves experimentation and the generation of repeatable, measurable evidence. And scientific thinking is rational, having it origins in logical inquiry and the application of mathematical principles. Culturally mature perspective confronts classical science in two keys ways. First, it challenges the common conclusion that science can explain anything if pursued far enough. Given the larger context of modern age belief, it is not unreasonable that many people have assumed that with time science’s approach could be applied to understanding as a whole. Cultural Maturity brings the notion that science’s method works for everything immediately into question. Seen from a culturally mature perspective science becomes a kind of tool that is great for some tasks and of limited help for others. The contributions of science in our time could not be more amazing. But we need only think about how little repeatable scientific observation can tell us about many of the most important things in our lives—love, meaning, creativity, and much more (including ultimately the fact of life itself)—to recognize inherent limits to the approach. CST’s recognition that intelligence is multiple and that rationality represents only one aspect of our full cognitive complexity makes such limitations explicit. That everything is rationality intelligible becomes at best a “faith claim,”and in the end a faith claim that does not well hold up. Like it or not, an approach can’t be thought of as complete and all encompassing if it draws on only limited aspects of who we are. Better we observe that the science’s method is great for those aspects of reality that are in fact materially measurable and rationally intelligible. Put another way, science is great in most instances for teasing apart the difference/multiplicity aspects of experience. For this, we rightly celebrate its considerable power. The second way that Cultural Maturity confronts classical science is by bringing into question its mechanistic and objectivist foundations (see the article “‘Come On” Stephen Hawking: The Quandary of Free Will In an Apparently Deterministic Universe” for reflections on just how it does). Integrative Meta-perspective makes clear that not only does mechanistic thinking fail when to comes to explaining everything, it ultimately stops short too when it comes to the difference/multiplicity side of things that has traditionally been science’s purview. (Note the phrase “in most instances” in the preceding paragraph.) CST argues for the importance of a more explicitly systemic science, and systemic not just in the sense of better including all the mechanistically-related pieces (like a car is a system), but systemic in the creative sense that acknowledges deep connectedness as much as it does difference and distinction. The modern scientific world has made the materially understandable primary. And in the minds of many thinkers, it has made the mechanistic and objective all there is. Beliefs that reduce to a narrow “scientism”—that make it all about physical interaction—have become increasingly common and accepted over the last century. Where this is the case, the implications for the science/religion debate are clear and final. Popular advocates of such beliefs (Richard Dawkins the most widely known) tend to reach explicitly atheistic conclusions. But the best theorists in even the hardest of the sciences today view such conclusions as simplistic and out of date. Over the last century a recognition of systemic interconnections has more and more come to shape the cutting edge of scientific understanding. In biology, I think in particular of the growing appreciation for ecological relationships and how the recognition of tool-making and complex cognition capacities in species other than ourselves has made the line separating the human and the creaturely much less distinct. In medicine we are better appreciating the intertwined relationships of mind and body, and in psychology that of conscious and unconscious. In the physical sciences, the most defining advances of the last century saw before assumed separate-worlds relationships—such as between matter and energy, time and space, and the scientific observer and thing being observed—giving way to radically more dynamic and encompassing ways of understanding. As I write this article, it has just been demonstrated that “entangled” particles—particles that are linked not causally but because that have complementary properties—can stay connected between earth and a circling satellite. This achievement has immense implications for the futures of both communications and computing (particularly given that in theory there is no limit to the distance such coupling can be maintained). This observations is not at all to suggest that the task is somehow to go back to the thinking of earlier times. All of these views were based on dualistic formulations (though less so with Einstein who described his spirituality as most like the modern pantheism of Spinoza). If what we need is the more fully systemic kind of understanding suggested by the concept of Cultural Maturity, none of these past views can be sufficient for the tasks ahead. I offer the observation simply to highlight how the more extreme views often found today are specific to our time. With science’s emerging picture, connectedness—and connectedness of a deep sort (not just that of mechanical interrelationships) is specifically affirmed. But rather than some separate dualistic force, connectedness now becomes an inherent property of existence at all levels. It becomes intrinsic to a more vital and dynamic picture of what it means to be alive, of what it means to be human, and ultimately of existence as a whole. We are just beginning to appreciate what all this might mean. But it promises an increasingly provocative and vital kind of science in times to come. Spirituality/religion and its ways of knowing present us immediately with two different sorts of questions. The first is most familiar: Does God—or however we think of ultimate spiritual/religious authority—exist? Culturally mature perspective is humble to the fact that this is a question that even culturally mature understanding cannot ultimately answer. Later I will come back to how Cultural Maturity’s challenge to understand authority in ways that leave behind the parental imagery of times past might alter how we conceive of such authority (see Beyond Culture as Parent). But culturally mature perspective is limited in what more it can say. The second question asks about spiritual/religious experience’s contribution through history and how that contribution may now be changing. Like with science we want to address religion’s Question of Referent. Wit this question culturally mature perspective has a great deal to tell us and this article has taken a start at answering it. It is important to appreciate that the simple notion that there is a Question of Referent to ask about by itself challenges traditional assumptions. Conventionally, religious truth is God’s word (or the word of Allah, the utterance of a polytheistic pantheon, the inclinations of a collection of animistic forces, or whatever) and that is that. No larger perspective is needed—or desired. Here I’ve framed religious experience’s ultimate purpose creatively. CST proposes we can think of our diverse interpretations of the spiritual dimension as time- and space-specific expressions of the far extreme of archetypally feminine, “left-hand” sensibility as it manifests at a cultural scale. We must be careful with such reframing not to just psychologize the sacred, a negation of the spiritual of which the social sciences have often rightfully been accused. The spiritual as understood in CST’s interpretation represents more than just projection from within ourselves (though the images we attach to our beliefs may be just that). Rather, it marks our felt connection with every aspect of creative context—the personal, interpersonal, and cultural, certainly; and, at least metaphorically, also the biological, and the cosmos as a whole. I’ve hinted at how a creative interpretation provides perspective not just for understanding religion’s role and appreciating its past, but also for making sense of current circumstances and conjecture about religion’s future. To fully make sense of how it does, we need to appreciate a quandary that the historical picture I described earlier presents for the spiritual dimension. I’ve described how the influence of right-hand sensibilities has increased over the course of history while that of left-hand sensibilities has gradually decreased. CST predicts that in our time the influence of ways of thinking that draw at all deeply on the archetypally feminine would be largely eclipsed. CST calls this the Dilemma of Trajectory. The Dilemma of Trajectory presents religion with a circumsatnce shared with other more left-hand social functions such as art. It might seem to suggest that spiritual/religious experience has run its course. Integrative Meta-perspective suggests a different result going forward. It makes clear that the underlying sensibilities of religious/spiritual experience are inherent in who we are—they can’t really be lost. Truth’s left hand is necessary for anything creative. It also suggests that the contribution of spirituality’s root experience should in fact grow in times ahead. With mature systemic understanding, the difference and connectedness aspects of truth are recognized as making equally important contributions. This way of thinking about the fate of left-hand sensibility in time to come has critical implications not just to how we think about religion’s future, but also for our future human well-being. I’ve described spiritual/religious experience in terms of four connectedness-related themes. Without them manifesting in some form in times to come the likelihood that the species will make wise choices going forward becomes very small. We will need to expand how we hold these themes—for example our connections in community must manifest as a new and deeper appreciation not just for people similar to ourselves, but also for our shared humanity—but we need what each theme points toward if our future is to be healthy, and perhaps simply survivable. For people who identify strongly with religious belief, this picture presents reason to celebrate. If the concept of Cultural Maturity accurately describes today’s fundamental challenge, in the future the sacred should manifest with even greater significance than in times past. But the concept of Cultural Maturity does not at all let religion off unscathed. The price for this renewal is high—extremely so. The doorway to this deepened spirituality can open only to the degree we are willing to reexamine much in the very foundations of belief. Certainly the concept of Cultural Maturity brings into question culturally-specific notions of the sacred. It argues that life in the future will be most unhappy if we cannot transcend differences of belief. This is especially the case where such differences make one religion true and all others false (as through history they always have). Such beliefs are not compatible with life in a globally interconnected world. As I noted earlier, religion also comes up against Cultural Maturity’s challenge to truth’s past parental/mythologized status. Inherently that challenge includes spiritual truth. Whether manifest in the more maternal imagery of animism and mysticism or in the sterner and more philosophical images of patriarchal religious structures, the incarnate forms of sacred authority have served as mythic protectors, shielding us like children from the all-too-easily-overwhelming complexities and ambiguities of mortal life. Cultural Maturity’s changes call into question the value of this kind of protection. Integrative Meta-perspective repeats the Reformation’s call for responsibility in a further, quite ultimate way. There is also an arguably more fundamental kind of dislocation, one that for many people is ultimately even more disturbing. I hinted at it earlier in drawing on the box-of-crayons metaphor. Culturally mature systemic perspective challenges the notion that spiritual truth lies at the center of truth’s equation (as it does for scientific truth and the truths of any other approache to knowing—but for many people that it might for religion can feel particularly consequential). The kind of experience that through history we’ve described in spiritual/religious language becomes one crayon in the systemic box—very much an essential crayon, but only one of many we must draw on. Integrative Meta-Perspective views spiritual experience as an important aspect of truth, but only that, an aspect. If we make the spiritual some last word today, it not only fails as truth we can rely on, ultimately it fails as spiritual truth—which to be the real thing must honor the particular truth challenges of its time. For our time, the concept of Cultural Maturity predicts something very similar to what we witness today—an often conflicting mixture of doubt, dogmatism, and fresh, if often misguided, curiosity. Rarely is the result wholly satisfying. Many people find themselves deeply questioning religion, at least as conventionally conceived. Some of their concerns are fairly immediate—for example, the sexual and financial transgressions of church leadership that grace the pages of our morning newspapers—but their doubts can also be more far-reaching. Other people find reassurance in a regressive return to absolutist beliefs. The fact that past beliefs are being questioned can be interpreted as evidence that we need to adhere to them ever more strongly. And others still turn to what they believe to be new kinds of beliefs that in fact are rarely new at all. Some such more “new age” notions reflect pantheistic beliefs akin to spirituality’s tribal/animistic beginnings. More often they draw on somewhat later views—such as those found with western mystical or classical eastern traditions. Such beliefs come up short as far as the tasks ahead both in making the spiritual final truth and in being ultimately dualistic. They conceive of spirit/soul as a separate directing force (a way of thinking we also saw with Plato and also later with more modern panentheist philosophical thinkers such as Hegel and Shelling.) Modern Christian mystic Theilhard de Chardin observed that “what we are more or less lacking at this moment is a new definition for holiness.” He well articulated the need, but unfortunately his vision, being dualistic and utopian (he postulated an ultimate “omega point” of realization) only repeated a now timeworn and ultimately inadequate kind of answer. Cultural mature perspective can’t tell us just what spirituality in times ahead will look like. It does propose that each of these responses leave us ultimately short of where we need to go. What it does say is that whatever we find, it should require that we think about the role of connectedness in fundamentally new and more complete ways. Culturally mature perspective more whole-box-of-crayons picture challenges us to understand systemically in ways not conceivable from within the worldviews of times past. This simple task is of no small significance given the Dilemma of Trajectory. So much of life today is lived on the surface—from consumerism, to pop culture, to social media. To become a spiritual person in any deep sense in our time becomes a radical act. If the concept of Cultural Maturity is correct, it also inherently takes us into new territories of experience. To summarize—In modern times we’ve tended to think of science and religion as separate, competing realities. We’ve also elevated and mythologized the conclusions of science and religion—made them ultimate truths. I’ve described how culturally mature perspective suggests a more encompassing and less idealized picture. It also challenges past assumptions of both science and religion and invites that we might understand both science and religion in more dynamic and complete ways. CST adds valuable detail to this more encompassing picture. The theory proposes that beliefs of a material and spiritual sort are inherent products of human cognition’s creative workings. From CST’s overarching vantage, the conclusions of science and religion through time become contrasting ways the world has looked when viewed through the lenses of polarity at its most fundamental and intelligence’s multiple aspects. Science tells us about the difference/multiplicity dimensions of complexity by drawing on the more creatively manifest—rational/material—aspects of intelligence. Religion tells us about the unity/connectedness dimensions of complexity by drawing on the more creatively germinal—animistic, imaginal, and emotional—aspects of intelligence. Culturally mature perspective invites us to appreciate how science and religion have all along been essential parts of a larger story. It also invites us to think about each of them in ways that are themselves more encompassing, more deeply reflective of understanding’s—and life’s—rich vitality and complexity. I don’t propose CST’s picture as some last word. But I am comfortable claiming that it points us in the general kind of direction that can best serve us going forward. I am also comfortable asserting that it is rare in its ability to do so. Other explanations besides that which CST puts forward today similarly claim to end the science/religion debate. But they don’t really succeed at the task, at least in a sense that in fact provides a larger picture. Notions that conform to a narrow scientism or reflect related techno-utopian beliefs commonly reduce spiritual experience to, in effect, hallucination, a trivial byproduct of a mechanical world (see What Cultural Maturity is Not #1: Techno-Utopian Delusions). And new age ideas that claim to embrace cutting edge science in the end only collapse science into spiritual oneness (see What Cultural Maturity is Not #3: Confusing Spiritual Ideology With the Future’s Needed “Growing Up”). Besides offering a conceptual framework that lets us grasp the stories of science and religion through time and address what is needed in our time, CST also describes methodologies that directly support the needed larger perspective. 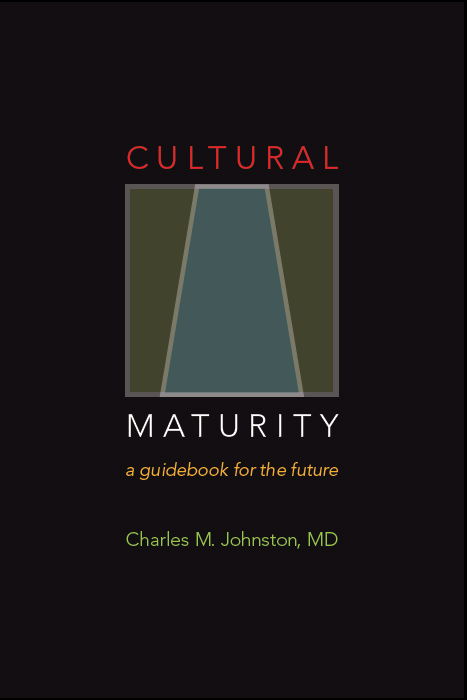 In my book Cultural Maturity: A Guidebook for the Future, I describe one such hands-on approach that I find particularly useful. I call it simply “Parts Work.” I include reference to it here because it provides a further, particularly powerful way to understand how fundamentally the ways we think—including how we think about science and religion—become different with Cultural Maturity’s changes. If Parts Work is done well and a person is ready, the approach provides almost no option but to entertain more culturally mature ways of thinking. Parts Work engages the various aspects of our psyches like characters in a play. In doing Parts Work, the person first sits in what will be his or her “whole-person” (culturally mature perspective/systemic understanding) chair. He or she is then guided in placing various parts—a more curious part, an angry part, a more reasonable part (and perhaps a more scientific part or a more spiritual part)—around the room. Each part is given its own chair. Through conversations with the parts, the person is facilitated in learning to consciously hold and apply this larger creative complexity. Parts Work helps a person learn to draw deeply on the diverse sensibilities and inclinations that make them who they are. As important, it also challenges a person to recognize that in each case the viewpoints that parts represent are partial. Ultimately Parts Work is about learning to embody the whole-person/whole-system chair and through this to live from the new, more culturally mature reality it represents. A first cardinal rule in Part Work is that only the whole-person chair talks to the world. Parts don’t talk to the world. The whole-person chair defines identity and always has the last word. A simple, though easily at first startling, recognition becomes pivotal if the person doing Parts Work wishes to engage issues that relate specifically to science or religion. It is a recognition familiar from the earlier box-of-crayons metaphor. Within our systemic complexity, scientific and religious belief each represent parts. Neither the truths of science nor those of religion appropriately occupy the whole-person chair. The chairs that advocate for more material and spiritual sensibilities each have much to contribute to the whole-person/whole-system chair’s reflections. But they are at best consultants. A person doing Parts Work quickly appreciates that when they miss this essential fact, ultimately unhelpful—indeed dangerous—conclusions result. A second cardinal rule provides further valuable insight when it comes to the contributions of science and religion: Parts don’t get to talk to parts. In addition to learning that neither the science chair nor the religion chair gets to sit at the center of things, the person also learns to recognize how “cross talk” between the science and religion chairs similarly gets one in trouble. This kind of internal debate had a function in times past. Indeed we can understand each of history’s previous views of how the material and the spiritual relate in terms of it. Such direct conversation between parts gave us the easy complementarities of more magical thought (as with yin and yang in classical Chinese belief), the warring absolutes of medieval dogmatisms, and the separated-worlds assumptions of Cartesian dualism. But CST argues that it has no value going forward. Parts Work, by directly supporting Integrative Meta-perspective, produces a fundamental kind of “re-wiring.” The result is a more encompassing and dynamic understanding of identity and truth. Specifically for science and religion, we get a picture in which each become part of a larger reality, and at once becomes newly filled out and able to contribute in more complete and vital ways. A couple more specific consequences that follow from this rewiring are important to note. We saw the first in my descriptions of the challenges both science and religion confront. New formulations in science and religion should themselves each be increasingly systemic, this in the sense of at least acknowledging the validity of both more left-hand and more right-hand aspects of understanding. For each, this will require a stretch. But it will be necessary if science and religion in times ahead are to reflect human understanding at its most complete. It will also be necessary if science and religion are to effectively contribute to the maturity of perspective that will be essential if, as a species, we are to make wise decisions going forward. The second consequence turns again to the relationship of these two realms of experience going forward. We might assume that we would simply stop thinking of them as separate—and in an essential sense that should be true. But it is important to recognize that what we should find is very different from either some simple merging together or compromise, some meeting half way. CST describes three primary ways efforts at mature systemic thinking can stop short, what CST calls Unity Fallacies (where we make it all one) Separation Fallacies (where we make it all about difference) and Compromise Fallacies (where we split the difference). (Note that the fact that fallacies might take these forms follows from how I have spoken of polarity at its most fundamental.) With the first two fallacies we get resolution by eliminating the offending half of fundamental polarity (something we can find with the more extreme of scientific or religious beliefs). But compromise gets us no closer. With Compromise Fallacies we find peace by deadening life’s “procreative” intensity. Parts Work helps us appreciate this result. If compromise were the task, we would only get a particularly tedious kind of cross-talk. Our box-of-crayons image reaches the same conclusion more colorfully. The resolution of opposing hues would give us only muddy brown. In contrast, with culturally mature perspective gives us the ability to hold the whole box—and an essential new chapter in our evolution as creative beings. With Cultural Maturity’s cognitive changes each part comes to manifests in more vibrant form than we have known before. A defining consequence of Integrative Meta-perspective helps illuminate this important distinction. With Cultural Maturity’s cognitive changes our appreciation of differences and connections each become fundamentally greater. This result might seem paradoxical, but it is an outcome we find whenever culturally mature perspective prevails. If we look closely at any CST concept, for example, we encounter both a deeper acknowledgement of difference and a deeper affirmation of connectedness than we find with more conventional thought. The Creative Systems Personality Typology provides good illustration. It highlights how temperament makes us much different from one another than we tend to assume. And at the same time, it helps us more deeply understand how temperaments relate and how the ways they relate are key to our contributions as humans. That an idea increases our appreciation of both difference and interconnectedness provides a good litmus test for its success as culturally mature conception. If the reflections in this article hold, this easily contradictory-seeming result is something we should increasingly encounter in how we think about science and religion. We should find ourselves better able to appreciate how science and religion are parts of a larger story. And at the same time, we should find ourselves more cognizant of the unique voices each has brought to that story. In addition, as I have suggested here, we should also find ourselves able to think about science and religion with a sophistication and nuance that has not been an option in times past. CST is structured around a series of formal creative “patterning concepts.” For the most part I have not made direction mention of them in this article. The one exception is the Question of Referent, a key “Whole-Person/Whole System” patterning concept. CST proposes that asking the pertinent Question of Referent—inquiring into an activity’s underlying purpose—is where we must start when addressing any issue from a culturally mature systemic perspective. Framing science and religion’s Questions of Referent creatively provided the foundation for this article’s reflections about their relationship. I’ve at at least made informal reference to CST “Patterning in Time” (developmental) notions. I’ve pointed toward how the different forms that scientific and spiritual belief have taken through history mirror the ways polarity at its most fundamental and intelligence’s multiple aspects manifest with different stags in culture’s creatively evolving story. Using specific CST language, the progression I have described takes us from Pre-Axis, to Early-Axis, to Middle-Axis, to Late-Axis in the Creative Function. 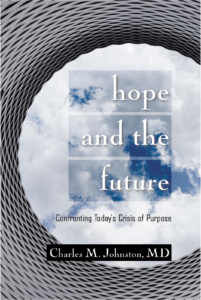 I’ve also argued that the challenges presented to science and religion in our time are predicted from Cultural Maturity’s essential next chapter in this developmental story. With a much longer article, we could learn a lot more from adding further Patterning in Time detail (see Patterning in Time). I’ve not made explicit use of CST “Patterning in Space” (here-and-now differnce) concepts, though the basic observation that the functions of science and religion reflect polarity at its most fundamental can be thought of as a rudimentary Patterning in Space observation. We could refine this observation by employing more nuanced Patterning in Space notions. For example, CST describes how at any point in time some creative aspects are best thought of as more “inner” while others are more “outer” (you can think literally of where experience organizes in the body). It also contrasts aspects that reflect more “upper pole” versus more “lower pole” sensibilities. Science’s focus on the objective and religion’s focus on the divine each reflect upper pole concerns. But science and religion are different in that science’s interest lies with more outer questions while religion’s lies with questions of a more inner sort. More lower pole, we find science and religion giving attention to complementary more subjective (with science) and more personal (with religion) aspects of experience. If we wished greater Patterning In Space detail yet, we could draw on the Creative Systems Personality Typology. The kinds of scientific and/or spiritual beliefs a person is drawn to predictably mirror the ways these aspects of experience manifest as a function of temperament (combined with where a person resides in their personal development and in relation to their culture’s evolving story). Using formal CSPT language, academic scientists tend to be Late/Upper/Inners, engineering types are most often Middles, while “mad scientist”/innovator types are more commonly Earlies. People with new age inclinations tend to be Earlies or Late/Lowers, people with more fundamentalist religious belief are more often Middles, while Lates, if they are religious at all, tend toward to the more liberal forms of monotheism. Note that while scientists tend to be Uppers, it is religious belief rather than the religious practitioner that is concerned with the above. The temperaments of religious believers are as often Lower as Upper. The new picture these reflections on science and religion suggests demands more of us. Certainly culturally mature perspective’s more direct engagement of complexity means that it takes more for us to grasp, to fully get our minds around. And what CST suggests arguably presents even greater demands. It requires that we think in greater detail. And learning to apply a creative frame involves a major conceptual leap. But at the same time there are important ways in which the picture that results is more ordinary than what we have known. I’ve written extensively about how we can appropriately think of culturally mature perspective as a “new common sense” needed for our time (see A New Common Sense). With regard to science and religion, this “new common sense” aspect is equally important to appreciate. What we find is in essential ways more down to earth than how we have thought about science and religion in times past. Neither science nor religion is mythologized as before—put on a conceptual pedestal. And science and religion each lose the intensity of allegiance that comes with beliefs set in polar opposition. We come to recognize them simply as ways of knowing, and historically as reflections of knowing’s evolution. Does Integrative Meta-perspective then let us see “the truth” (with regard to science and religion or anything else)? I’m comfortable with the conclusion that the kind of thought that comes with Cultural Maturity’s cognitive changes brings us a bit closer to how things “really are.” But this is less because this is a conclusion I can prove than simply that it seems most useful and satisfying—it is reasonable to think that succeeding cultural stages add to understanding. CST is concerned with how we think, and with this, how thought’s complexities and our relationship to those complexities change over time. Ultimate reality must remain another matter.